Hybrid (Hardwire/Wireless) High Power MAG Portable Surface Station, 70 watts. Includes battery, charger, headset, dummy load (turns unit on when in hardwire only mode), and transducer. A through-water unit only, the Magnacom® MAG-1004PS is a variation of our Magnacom® MAG-1003PS, but is designed for both wireless and hardwire use. It features dual channels and an output power (PEP) of 70 watts. In ideal conditions, it has a range of up to 6000m. The Magnacom® MAG-1004PS has 2 whips coming out of the top of the unit. One is the connection point for the tender&apos;s headset/boom mic. The other is for a comrope connection. The Magnacom® MAG-1004PS is only setup for 1 comrope connection, however you can purchase a splitter to accomodate additional comrope connections. It&apos;s important to note that this unit does not utilize our standard (4 wire) comropes. For more details please contact an OTS Sales Rep. 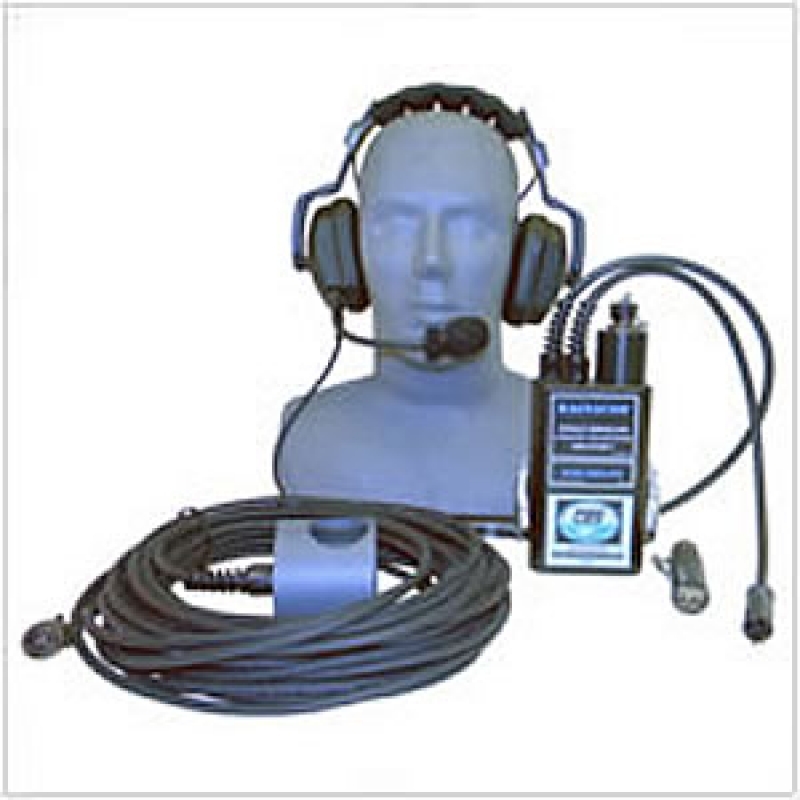 The Magnacom® MAG-1004PS comes standard with a THB-MAG Deluxe Headset w/boom microphone, rechargeable NiMH batteries, and a charger. Assuming 10% duty cycle: 4 hours on high power channel A or 8 hours on low power B.
THB-MAG Included; Ceramic type (compatible with most ffm). H: 8.5", W: 4.5", D:2.25"